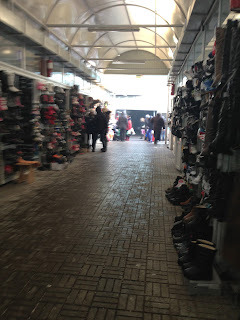 Alas, I returned to my favorite place in Almaty -- the Green Bazaar! 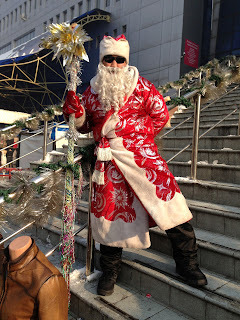 It was more exciting than ever with people getting ready for New Years' Celebration (post to come soon), as vendors sold bottles of champagne (Sovietskoe champanskoe) and party streamers. 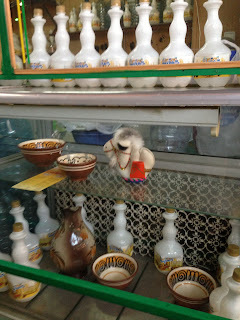 The bazaar also had its usual array of interesting objects. 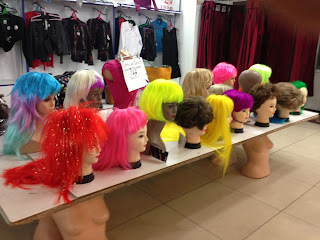 Since a picture speaks a thousand words, I have attached some highlights of the excursion. Dairy products at the Green Bazaar. Meat section at the Green Bazaar. 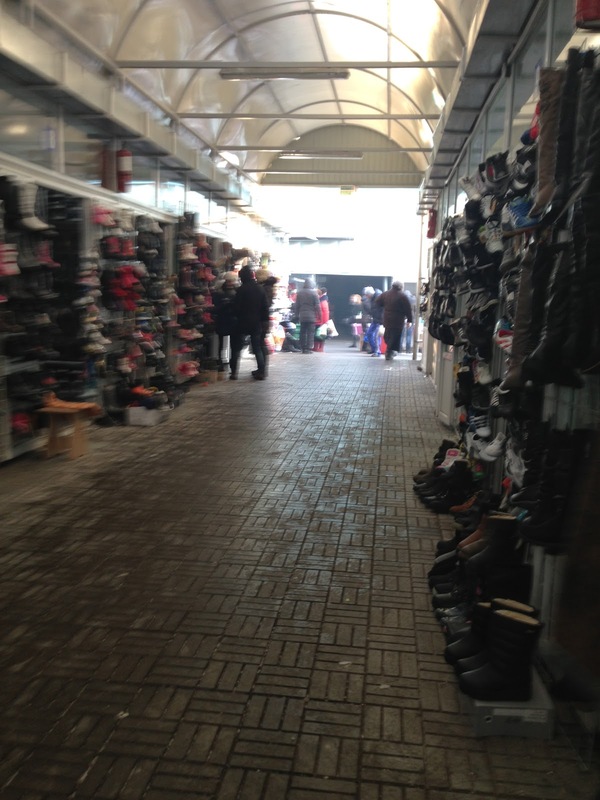 Shoes at the Green Bazaar. 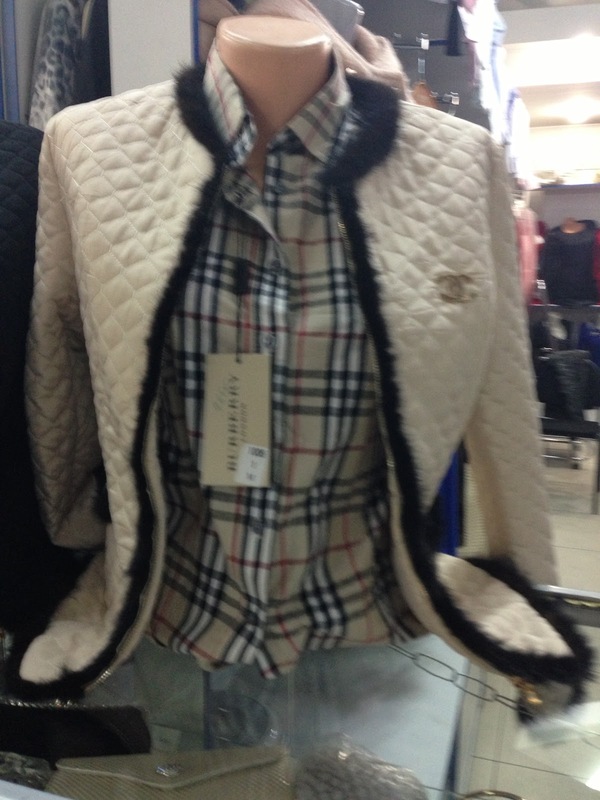 "Real" designer clothing. 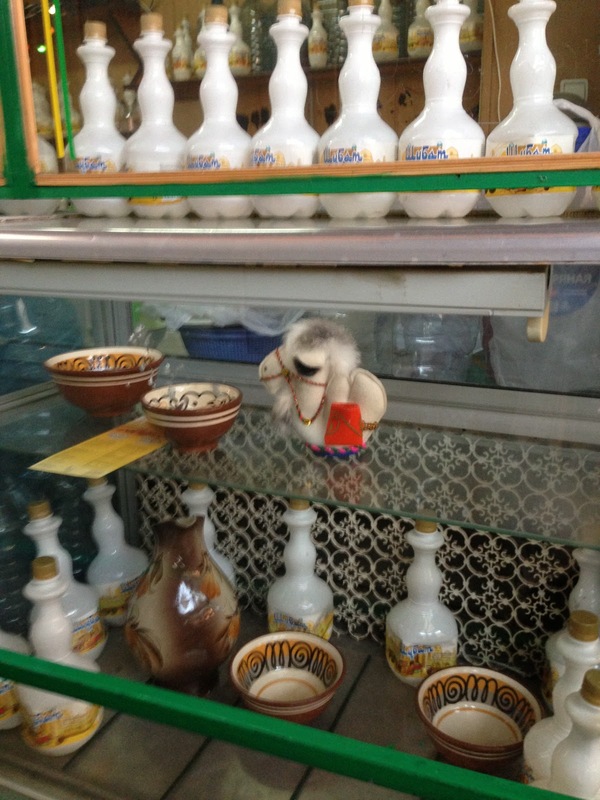 Unfortunately, counterfeit items produced in China continue to flood Central Asian bazaars (most of them are transported via light vehicles or trains by shuttle traders. Korgas is one of the foremost border crossing points). 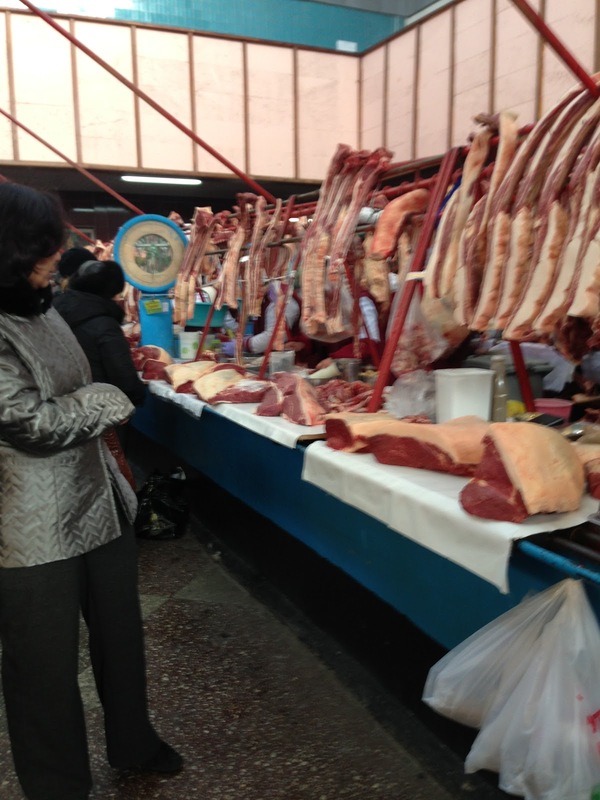 I was a woman on a mission in the beef section -- find meat for 7 people. I went from vendor to vendor asking how much per kilogram. They all said the same price -- 1,500 tenge per kilogram. I said I needed meat for seven people and they showed me a huge slab, as depicted above, which weighs three kilograms. 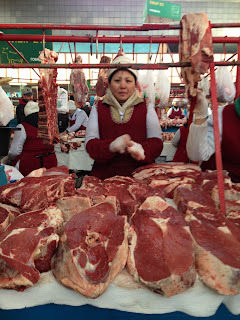 I bargained with this woman to buy the meat for 5,000 tenge. To be honest, I don't know if her meat is better or worse than the others, but she was the only one willing to compromise with me, so I gave her my business. When she asked me what am I going to cook and I responded, "I don't know," she looked at me like I was a crazy person. 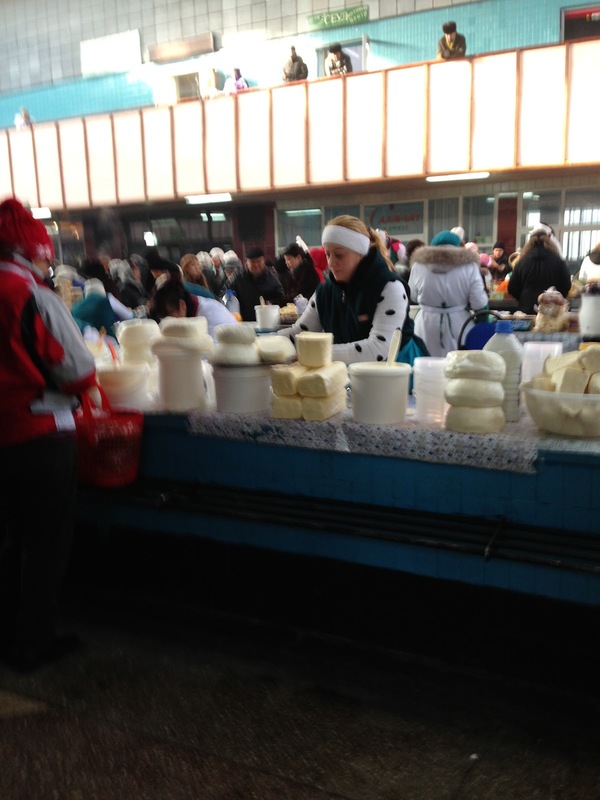 After all, Kazakh women who go to the market know what they are cooking. Either way, it was funny and I got such a kick out of buying some 7 pounds of beef. After acquiring half a cow, I went downstairs and bought some tomatoes, and then spent some time walking around the bazaar and soaking up the energy of the people and vendors. Santa Claus at Green Bazaar. 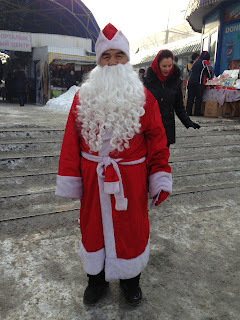 Another Santa Claus at the Green Bazaar. 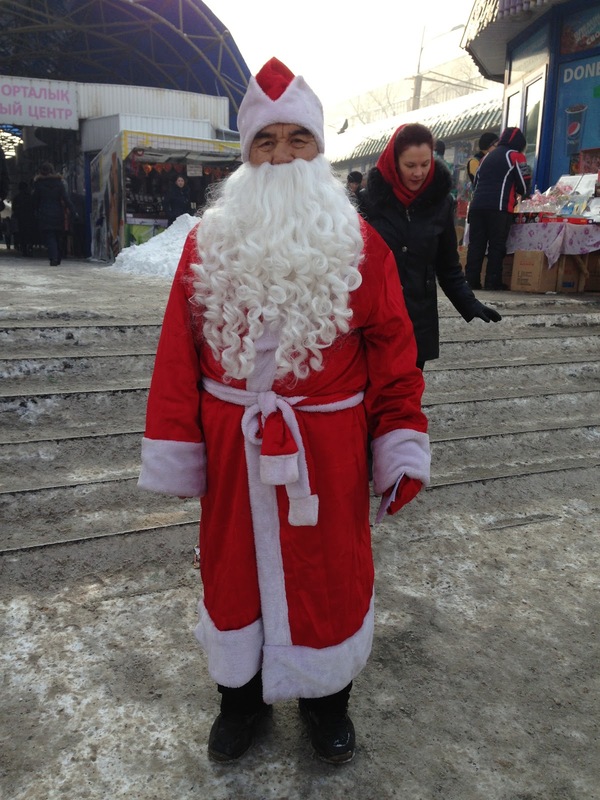 I wish you all a happy and healthy new year! And most of all, tonight, do not drink and drive!